Nina C. Gupta is a Senior Associate in the Litigation Department at Miller & Chevalier Chartered. Her practice focuses on complex litigation, white collar criminal defense, and government and internal investigations. She routinely represents individuals and companies in federal and state trial and appellate courts and in federal grand jury and government investigations. 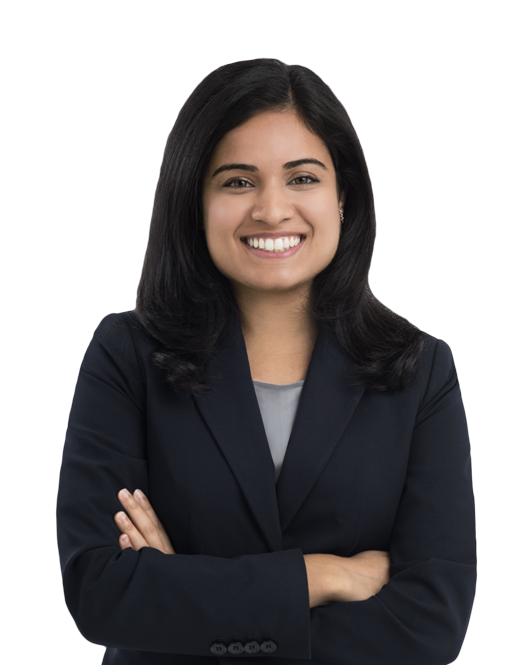 In her litigation practice, Ms. Gupta has handled management of fact discovery, complex legal analysis, research and drafting of dispositive motions, preparing for and taking depositions, and appeals. In her white collar defense and investigations practice, Ms. Gupta has managed fact development, coordinated document productions and subpoena responses, prepared clients for interviews with law enforcement, and conducted witness interviews. Prior to joining Miller & Chevalier, Ms. Gupta was an associate at Paul Hastings LLP, where she focused on white collar criminal defense, government and internal investigations, and appellate litigation. Prior to joining Paul Hastings, she served as a Law Clerk for the Honorable Robert L. Hinkle in the United States District Court for the Northern District of Florida. Ms. Gupta graduated from Duke University School of Law in 2014, where she won the Dean's Cup Moot Court Competition, and served as Notes and Research Editor of Law & Contemporary Problems, on the Executive Board of the Moot Court Board, and as a Student Attorney for the Wrongful Convictions Clinic. In this article, Amelia Hairston-Porter and Nina Gupta discuss the $2 million criminal penalty paid by Transport Logistics International Inc.